As more and more people seek a more comprehensive and hands-on approach to health care, holistic health has become increasingly popular over the years. Whether they’re soothing back pain with massage, fending off colds with dietary supplements, or taking up meditation to tame anxiety, about 30 percent of American adults now use some form of alternative medicine, according to the National Center for Complementary and Integrative Health (NCCIH). Holistic health is generally defined as medical treatments that are not part of mainstream medicine. However, many people use alternative treatments alongside conventional care. This practice is typically referred to as complementary medicine. Despite existing outside of mainstream medicine, a lot of alternative treatments have a long history of use throughout the world. In fact, certain treatments are a cornerstone of traditional medical systems. For instance, acupuncture is a key element of traditional Chinese medicine, while herbal remedies are a mainstay of Ayurveda (the traditional medicine of India). There are countless reasons why people use alternative treatments to enhance their health. For example, people with pain-causing conditions like arthritis sometimes rely on alternative treatments to reduce their use of painkillers. Others use alternative treatments for help in managing conditions that are often difficult to treat, such as depression. And in many cases, people add holistic treatments to their daily routine in order to improve their energy, promote sounder sleep, lift their mood, and alleviate everyday stress. Although some forms of holistic medicine are touted for the treatment of cancer, there’s very little scientific support for such claims. Still, research suggests that some alternative treatments (such as acupuncture and massage) may benefit people with cancer by easing the side effects associated with cancer therapies like radiation and chemotherapy. Alternative treatments vary greatly in approach, from professionally administered therapies like chiropractic to do-it-yourself techniques like meditation. Read on to learn more about today’s most commonly used holistic treatments. A needle-based therapy used for thousands of years in traditional Chinese medicine, acupuncture is thought to support healing by stimulating the body’s flow of vital energy (also known as “chi”). When performing acupuncture, practitioners insert very thin needles into specific points on the body. According to the principles of traditional Chinese medicine, these points are located along invisible lines of energy flow (called “meridians”), which connect our organs with other parts of our body. One of the most widely studied alternative treatments available, acupuncture has been found to aid in the treatment of several types of pain (including low back pain, neck pain, osteoarthritis-related pain, and chronic pain). There’s also some evidence that acupuncture may help reduce the frequency of tension headaches and prevent migraines. Aromatherapy involves inhaling the scent of essential oils extracted from specific plants, such as lavender and rosemary. It’s thought that breathing in these aromas can influence your health in part by affecting certain brain chemicals. 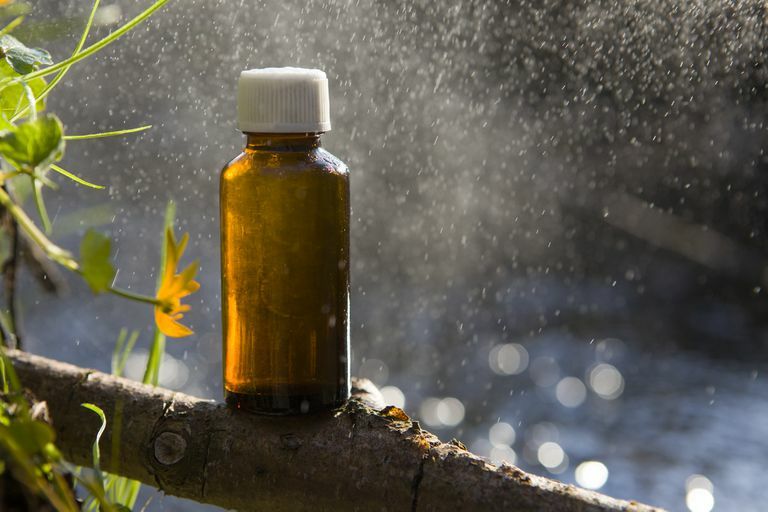 While few clinical trials have tested the health effects of aromatherapy, some studies have found that this approach may help to alleviate stress and relieve common health troubles like menstrual pain and insomnia. With a focus on the relationship between your body’s structure and its functioning, chiropractic centers on manual manipulation of the spine and other parts of your body. Typically referred to as adjustments, these manipulations aim to correct alignment problems and, in turn, promote recovery from a range of health conditions. Often used in the treatment of pain-related health problems (including back pain, headaches, and even fibromyalgia), chiropractic may also be helpful in controlling conditions like asthma and insomnia. Perhaps the most frequently used type of holistic treatment, supplements encompass a wide variety of products, including herbs, vitamins, minerals, antioxidants, probiotics, and natural substances such as fish oil. The most extensively studied supplements include fish oil (found to improve heart health) and vitamin D (shown to strengthen bones). Not only a popular spa treatment massage therapy can also have a powerful impact on your physical and mental health. Indeed, studies have determined that undergoing massage can help treat back pain, arthritis, tension headaches, carpal tunnel syndrome, anxiety, depression, and a host of other health problems. An alternative treatment practiced for thousands of years, massage includes such approaches as Swedish massage (which involves long strokes, kneading, and deep circular movements), deep tissue massage, shiatsu (which focuses on applying pressure to the same bodily points stimulated in acupuncture), and other popular massage styles. With their well-established ability to reduce stress, mind-body techniques like meditation, yoga, progressive muscle relaxation, tai chi, and guided imagery may provide a wealth of health benefits. When introduced into your health routine, such techniques may help stave off stress-related issues such as high blood pressure. As more and more research shows a strong link between stress and pain, there’s also some evidence that some mind-body techniques may benefit people with pain-causing conditions. To that end, studies have indicated that tai chi may help lessen arthritis pain, while meditation may provide headache relief. Another class of do-it-yourself holistic treatments, nutritional therapies involve tailoring your diet to achieve specific benefits or control chronic conditions. This includes the growing trend of juicing to boost health and enhance energy. Other examples of widely practiced nutritional therapies: drinking green tea to strengthen the immune system, eliminating dairy and/or sugar to reduce acne, and following an anti-inflammatory diet to manage conditions like arthritis. Because few alternative treatments have been extensively studied, little is known about the safety of these treatments. In order to minimize the health risks of alternative treatments, it’s important to talk to your doctor before adding such treatments to your health regimen. It’s also important to remember that natural doesn’t necessarily mean safe. For example, many herbal or nutritional supplements can trigger adverse effects, as well as interact with medications or other natural remedies. In addition, it should be noted that using alternative treatments in place of physician-prescribed therapy may have serious consequences and significantly harm your health. When used safely and carefully, many alternative treatments can make a wonderful addition to your health care. Along with discussing alternative treatments with your doctor, make sure to do your homework by reading up on the latest research on your alternative treatment of interest (including its possible risks). Your doctor can also guide you in finding a qualified practitioner, an essential element in reaping the greatest benefit from whichever alternative treatment you choose. National Cancer Institute. Complementary and Alternative Medicine. Updated April 10, 2015. https://www.cancer.gov/about-cancer/treatment/cam. National Center for Complementary and Integrative Health. Complementary, Alternative, or Integrative Health: What’s In a Name? Updated June 2016. https://nccih.nih.gov/health/integrative-health#types. Steyer TE. Complementary and alternative medicine: a primer. Fam Pract Manag. 2001;8(3):37-42.